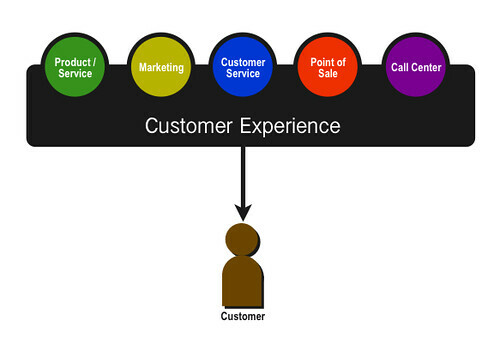 Customer Experience Management – what does it mean? Many companies overlook how important customer experience management is. The goal of customer experience management is to move customers from satisfied to loyal and then from loyal to advocate. That being said, customer experience management is crucial because it is the key to creating customer retention and to building a stronger business. Traditionally, companies used customer relationship management to manage their company’s relationships and interactions with customers. Customer relationship management strategies are designed to focus on product, price and enterprise process. However, due to today’s competitive corporate world, this is not enough. Enter customer experience management, the strategy that also incorporates customer needs. In order to have powerful customer experience management, companies must find a way to communicate with customers and find out what they want. The first step companies should take is to invest in customer experience management software. This helps coordinate ideas, feedback, questions and information from customers and make it easier for all team members to access. With it’s social collaboration tools and unique customer feedback application, OneDesk makes for great customer experience software. Interacting with customers and making them feel like they are being listened to boosts customer satisfaction. With OneDesk, companies can take this one step further by engaging their customers and turning their feedback into actionable items. Try OneDesk today and start giving your customers the experience they deserve.